Kim Jong Un secretly met with China's Xi Jinping in Beijing, an historic first visit by North Korea's leader. “If South Korea and the United States respond with good will to our efforts and create an atmosphere of peace and stability, and take phased, synchronized measures to achieve peace, the issue of the denuclearization of the peninsula can reach resolution,” Kim Jong Un said, according to Xinhua’s summary of his meeting with Mr. Xi. 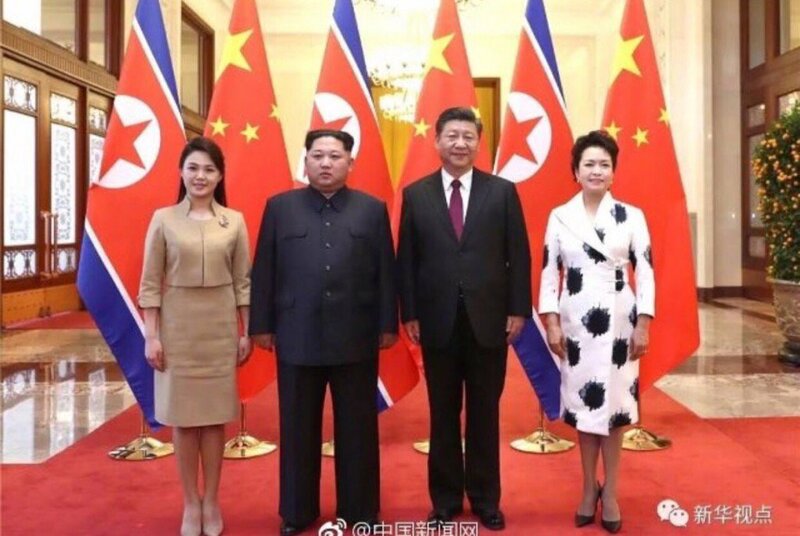 Mr. Kim made the trip to China at the invitation of Mr. Xi, North Korea’s state-run Korean Central Television reported soon after the announcement in China. Mr. Kim was accompanied by his wife, Ri Sol-ju, as well as by his senior advisers, it said. Mr. Kim told the Chinese leader that he was open to dialogue with the United States, including a potential summit meeting with President Trump, and was committed to the denuclearization of the Korean Peninsula, according to an account published by China’s news agency Xinhua. Mr. Kim traveled to and from Beijing in a green armored train much like the one that his father, Kim Jong-il, used when he ruled the North.